The call to prayer wakes me at six fifteen. The clear, deep notes reverberate through my dreams, pulling me into consciousness. 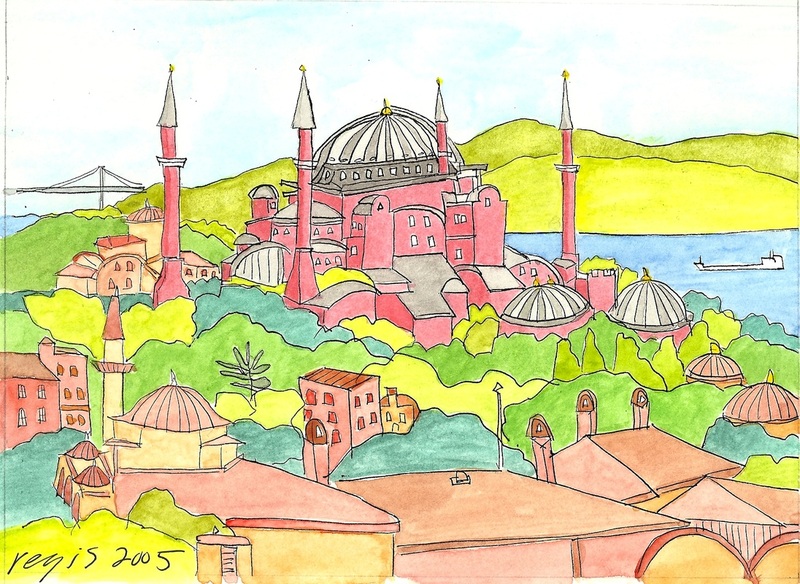 From my hotel window, the Aya Sofya glows pink in the thin morning light. I’ve never felt so foreign. Or so alive. Dusk at the waterfront, where the Bosphorus and the Sea of Marmara meet at the Golden Horn. 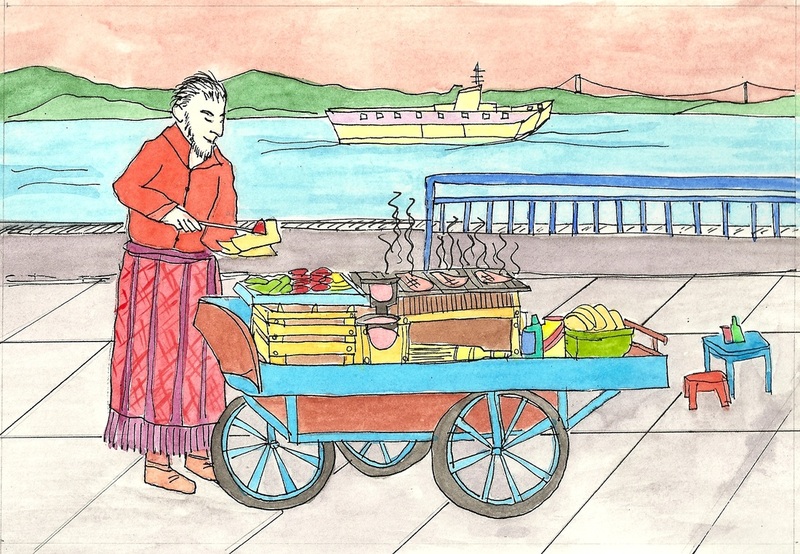 In the plaza, between ferries that depart for Uskudar, Harem, and Basiktas, the smell of the sea mixes with smoke from fish being grilled on a cart. A musician strums an amplifies oud and sings a mournful song as boats, filled to capacity with pushy commuters, sound their horns and steam away. 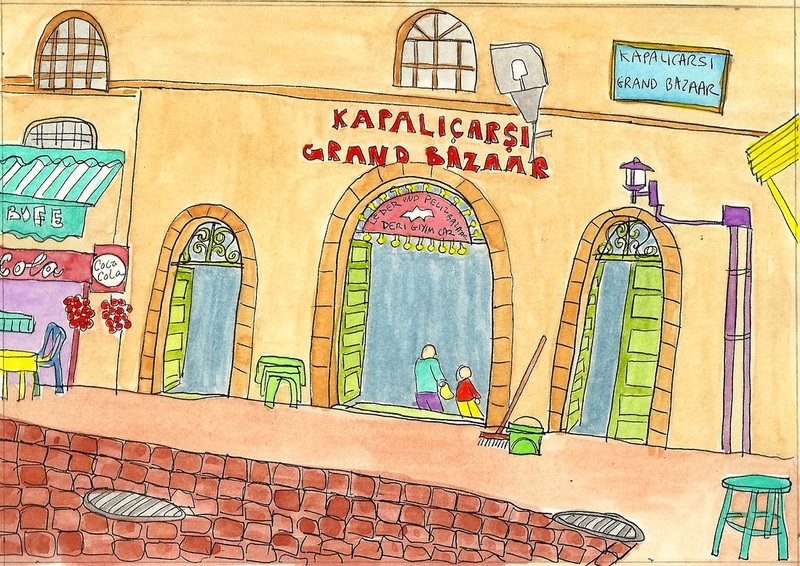 At the entrance to the Grand Bazaar, I close my eyes and listen. I hear: leather shoes slapping on the cobblestone street, the metal wheels of a cart, a hand clap, traditional fasil music, a low murmur of voices, the rhythmic shushing of oranges being grated, hammering that starts and stops, the growl of a motorcycle. 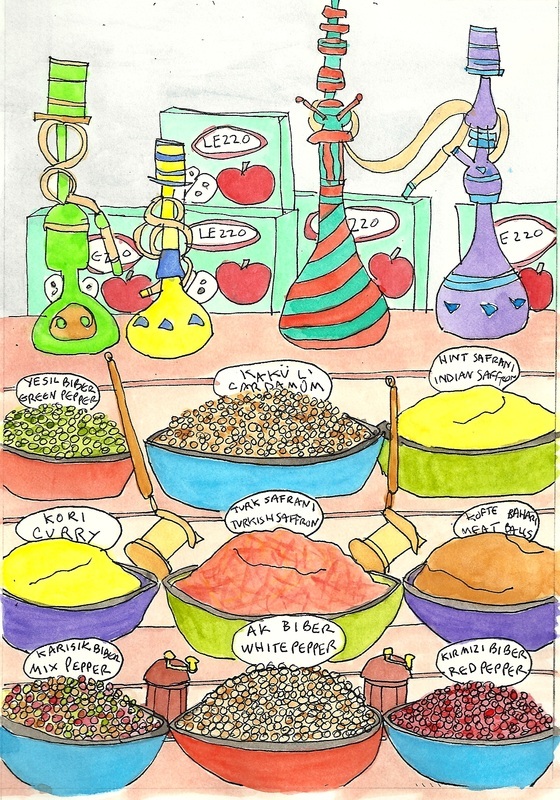 The Spice Market is a sensory overload, a phantasmagoric assemblage of visual, verbal, olfactory, and tactile wonders. I want this and this and this and that. The merchants flirt to sell their wares. I buy cumin and almonds, and am asked on a date. 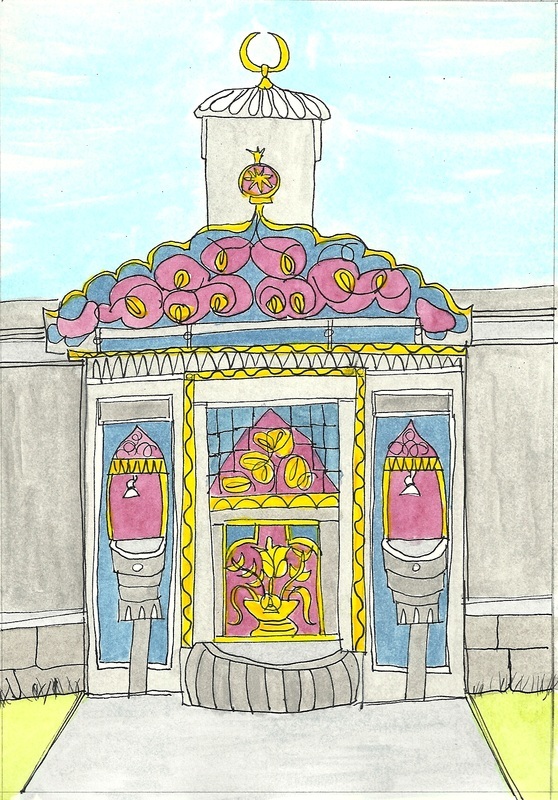 The Topkapi Palace is a city within the city. The former seat of the Ottoman Sultans had courts, a library, a bakery, Imperial chambers, as well as apartments for the crown prices, harems, and eunuchs. A decorative marble fountain tucked in the far corner of the sprawling site offers water for drinking or ablutions.